Utterly charming and spectacular looking in every frame, How To Train Your Dragon: The Hidden World is a fitting finale to the popular trilogy. It is also a very strong statement about being able to use computer generated imagery to tell a story that can have emotional currency. 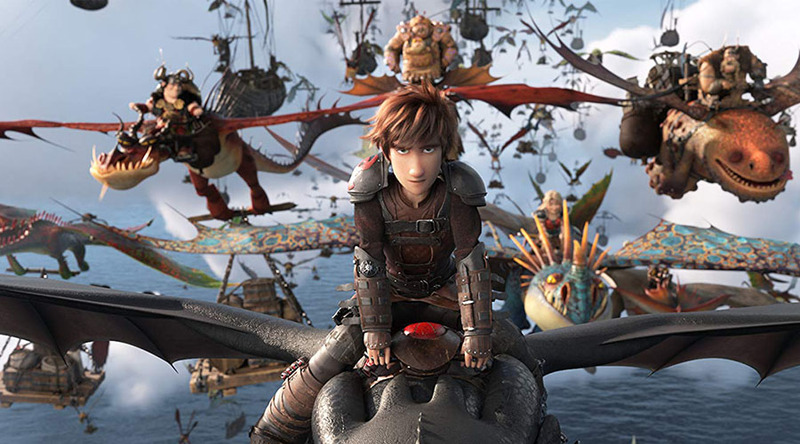 Most would be familiar by now with the main storyline behind the series, that of the young boy Hiccup (Jay Baruchel) who befriends a dragon and forever changes the way his Viking tribe sees these majestic beasts. The movies have been consistently satisfying from a story telling aspect and each new edition adds that little bit more to their ethos. In this, the last addition, we get to see Hiccup become a man and take over his duties as leader of the tribe (after the death of his father in the previous film). This transition has been incremental and feels natural. That aspect of the story has never been forced and the films have benefited greatly from that approach. Humans living side by side with beasts and dreams of a utopian society have been behind some fantastic stories throughout time and you can add the How To Train Your Dragon films to that list. As a storytelling medium, the computer generated image has seldom be used to such great effect.